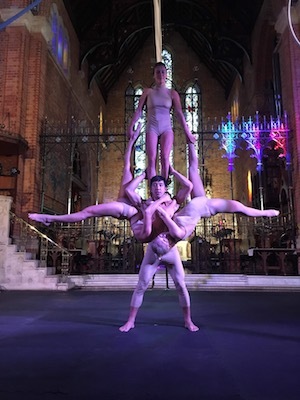 Syncope is an enjoyable mix of contemporary circus and contemporary dance designed specifically to be performed within St George’s Cathedral. Entering through the main doors of the cathedral, the audience is immediately struck by the incongruous tripod of scaffolding within the ornate Gothic Revival style architecture – a clear indication that a different set of rituals will be observed by Syncope in this religious space. 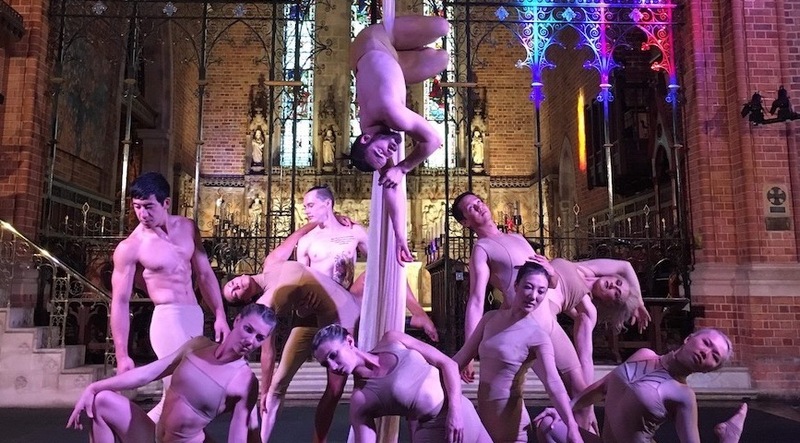 Indeed, this show marks the first time aerial artists have ever performed within the cathedral. 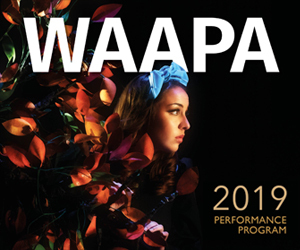 The stars of the show are ten talented artists from professional performance troupe Kinetica, a local circus and performing arts company behind previous Fringe World shows Interplay (2017), Dark Matter (2016) and A Midsummer Night’s Dream (2015). Within Syncope, their aerial stunts are linked by loosely themed acrobatic interludes exploring the relationship between emotions and physiology. As a whole, Syncope clearly demonstrates the capabilities of the human body as an elegant machine. This is a good reminder for those of us who can barely balance on one leg – let alone do the splits, upside-down in a handstand, while balancing on top of a pile of similarly contorted human bodies. In one impressive tableau, two performers float and rotate in seemingly zero gravity while each suspended from the scaffolding by a single wrist. Alternately embracing and pushing away from each other, the performers display a touching tenderness and grace while performing this feat of synchronised strength. Many scenes in Syncope, such as the two artists weaving in and out of a single suspended hoop, prompt the audience to consider both the physical discipline required to make the stunts seem so effortless, and the intimacy involved in rehearsing and perfecting the performances. The stunning penultimate piece provides an especially symbolic moment within the church; a lone artist writhes up and down his aerial silks with the shadows of his body projecting onto the high walls. In such a unique venue, it would have been great to see the company push such site-specificity a little further. Unfortunately, there was limited visibility from the back row and a lot of the floor work was lost on those of us furthest from the front. But it was the spectacular aerial tricks that were most anticipated – and those definitely did not disappoint. ‘Syncope’ runs until 3 February 2018.